A native of Westmoreland, Tennessee, Bradley learned piano at an early age, and began playing in local nightclubs and roadhouses when he was a teenager. At 20, he got a job at WSM-AM radio, where he worked as an arranger and musician. In 1942, he became the station’s musical director, and was also the leader of a sought-after dance band, joined later by vocalists Bob Johnstone and Dottie Dillard, that played well-heeled society parties all over the city. That same year he co-wrote Roy Acuff’s hit “Night Train to Memphis”. He kept the band up until 1964, although in the intervening decades, his work as a producer would far overshadow his own performing career. Country music had long been looked on as unsophisticated and folksy, and was largely confined to listeners in the less affluent small towns of the American South and Appalachia. In the late 1950s, Bradley’s home base of Nashville was positioning itself to be a center of the recording industry, and not just the traditional home of the Grand Ole Opry. In fact, the Nashville sound began in a Quonset hut attached to a house Bradley owned with his brother Harold at 804 16th Avenue South in Nashville. 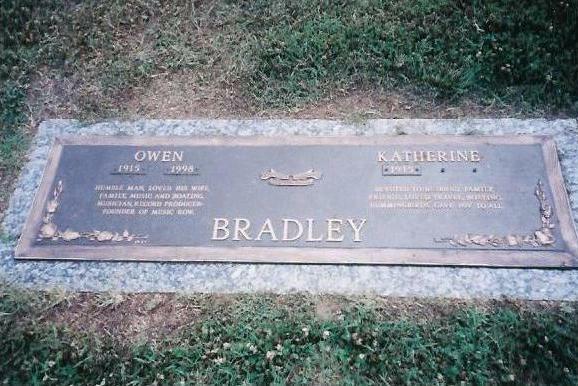 The singers Bradley produced made unprecedented headway into radio, and artists such as Patsy Cline, Brenda Lee, Loretta Lynn, and Conway Twitty became household names nationwide. Pop singers like Buddy Holly and Gene Vincent also recorded with Bradley in his Nashville studio. Bradley often tried to reinvent older country hitmakers; as previously mentioned, he tried to update Moon Mullican’s sound and produced one of Moon’s best performances “Early Morning Blues” where the blues and the Nashville sound complement each other surprisingly well. Also, he produced Bill Monroe in both bluegrass and decidedly non-bluegrass settings (Monroe’s covers of Jimmie Rodgers’ “Caroline sunshine girl” and Moon Mullican’s “Mighty pretty waltz”, for example, feature a standard country band rather than bluegrass). Many older artists recognized they needed to change as they saw former pure honky tonk singer Jim Reeves blend his own style with the newer styles with great success. However, not everyone was as successful as Reeves or Patsy Cline in these transformations. 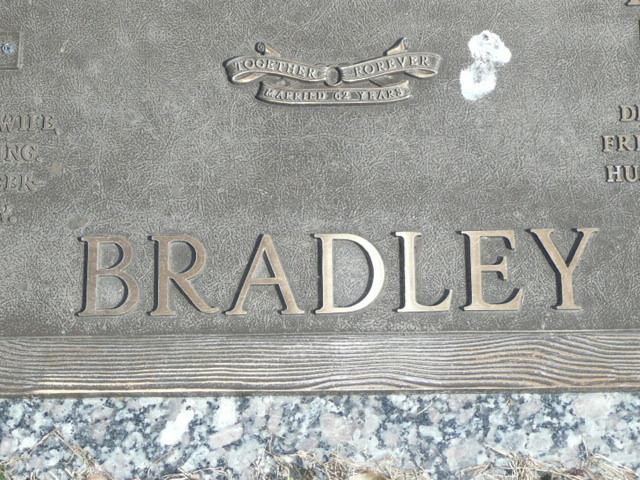 In addition to his production, Bradley released a handful of instrumentals under his own name, including the minor 1958 hit “Big Guitar.” In the late 1950s, Bradley produced a radio and TV series with his brother Harold, Country Style, USA, for distribution to local radio and TV stations as a recruiting tool for the US Army. Bradley sold The Quonset Hut to Columbia (which today is a division of Sony Music Entertainment) and bought a farm outside of Nashville in 1961, converting a barn into a demo studio. Within a few years, the new “Bradley’s Barn” became a legendary recording venue in country music circles. It burned to the ground in 1980, but Bradley rebuilt it within a few years in the same location. 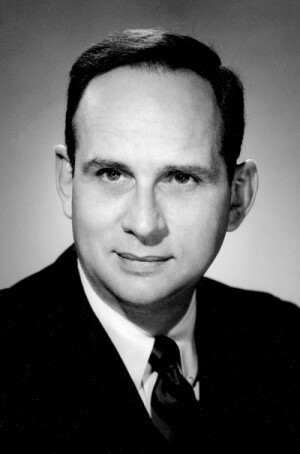 In 1974, Owen Bradley was inducted into the Country Music Hall of Fame. One additional claim to fame is that he produced records for more fellow Hall of Fame members (six) than anyone else except Paul Cohen who produced nine – Red Foley, Ernest Tubb, Webb Pierce, Kitty Wells, Maybelle Carter, Mel Tillis, Brenda Lee, Patsy Cline and Bob Wills. He retired from production in the early 1980s, but continued to work on selected projects.Canadian artist k.d. lang chose Bradley to produce her acclaimed 1988 album, Shadowland. At the time of his death, he and Harold were producing the album I’ve Got A Right To Cry for Mandy Barnett, who is best known for her portrayal of Patsy Cline in the original Nashville production of the stage play Always…Patsy Cline. His production of Cline’s legendary hits like “Crazy,” “I Fall to Pieces” and “Walkin’ After Midnight” remain, more than fifty years later, the standard against which great female country records are measured today. It is his work with Cline and Loretta Lynn for which he is best known, and when the biopics Coal Miner’s Daughter and Sweet Dreams were filmed, he was chosen to direct their soundtracks. In 1997, the Metro Parks Authority in Nashville dedicated a small public park between 16th Avenue South and Division Street to Owen Bradley, where his bronze likeness sits at a bronze piano. Owen Bradley Park is at the northern end of Music Row.